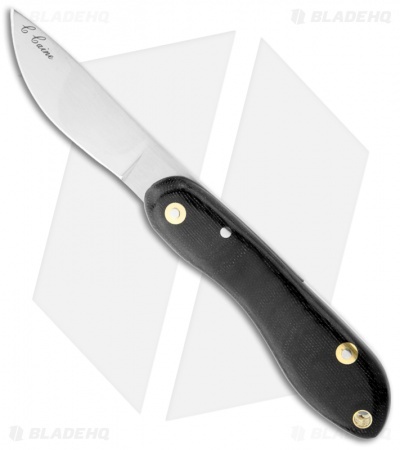 The Chris Caine Friction Folder is a sturdy, reliable knife that is similar in design to the Survival fixed blade. 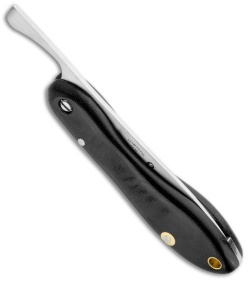 This CC Folder has an black Micarta handle with steel back spacer and rivet construction. The CS80 steel blade is full-flat ground and the pivot is adjustable for field adjustments. The CC Folder is made by Samuel Staniforth in Sheffield, England.